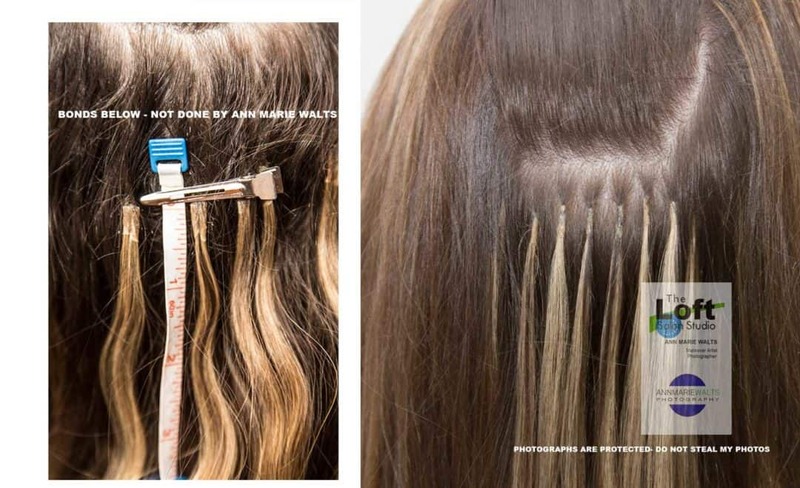 Do you need your hair extensions corrected? If your answer is “yes”, then give me a call. 413-734-6204. Bad applications of hair extensions come with a price. I professionally feel that the most important aspect you are paying for is a safe hair extension application. The left side of the photograph was not done by me. My new client was experiencing discomfort and was not able to wear her hair up.